What's good? 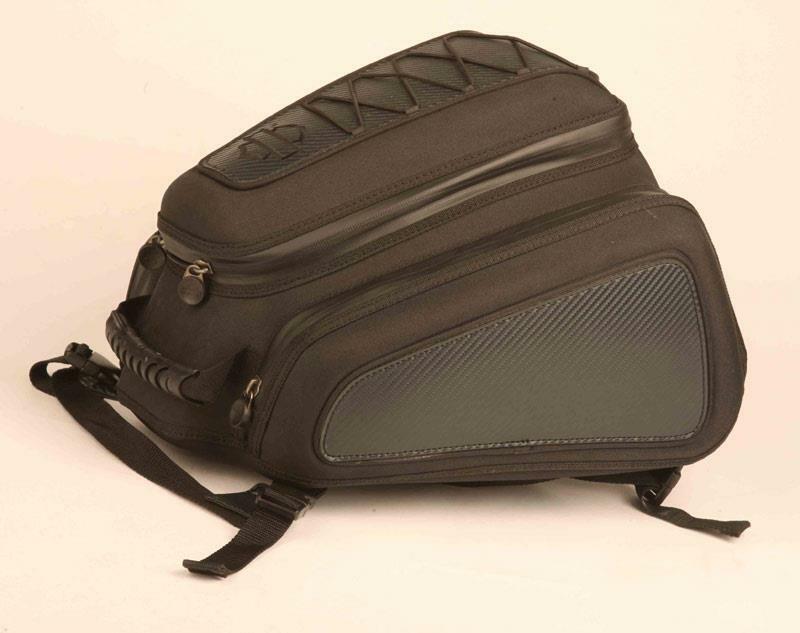 This official Harley bag is specifically designed for the XR1200. The pleasingly sculptured shape fits neatly on to the pillion pad and secures with quick release straps looped around the shock mounts with a third strap passing under the tail unit. Fitting couldn¹t be simpler or more secure. Using the supplied straps the bag can also convert into a rucksack. The largest central pocket is big enough for a laptop, a change of clothes and waterproof overtrousers. The side pockets will take a spare pair of gloves but not much else. The luggage is shower proof but an optional rain cover is also available. What's not? It¹s not huge. Capacity is OK for a solo long weekend but no more. The rigid carbon effect material doesn¹t help matters and makes squeezing anything in, especially into the triangular shaped side pockets cumbersome.